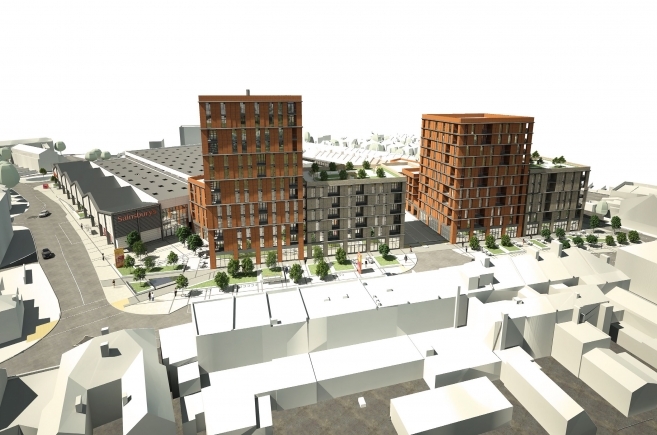 Grafik have been appointed to produce construction drawings for this mixed use scheme at the Old Gas Works, Sutton. 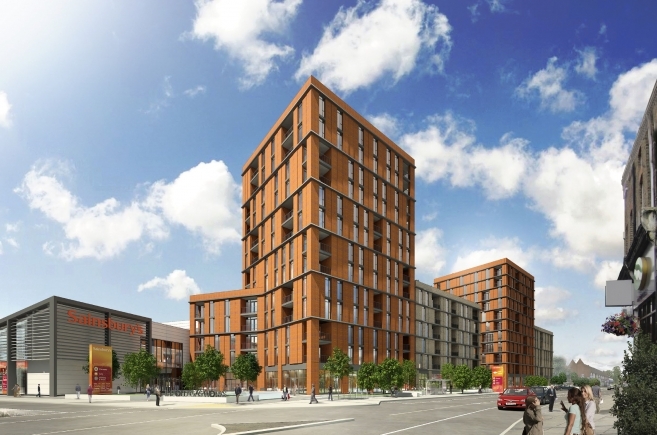 The site comprises of 4 residential towers with commercial uses at the ground floor and is part of a wider site which contains a large food retailer which is being constructed by an independent contractor. 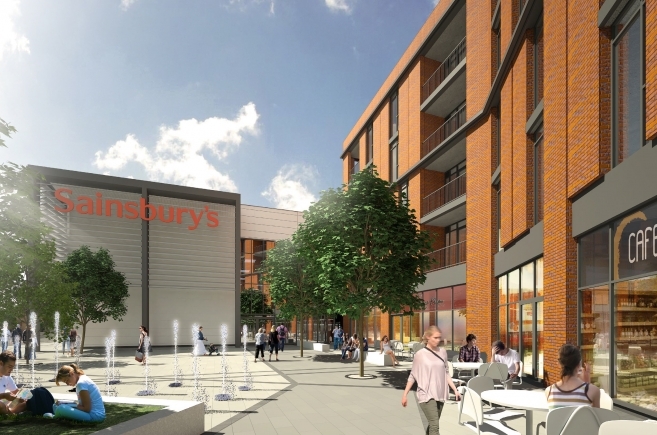 The site itself forms part of wider masterplan, which includes a new Sainsbury’s Supermarket and extensive urban public realm works, focusing on the integration of the new retail units within the existing High Street. As such, a comprehensive coordination exercise was required, with third party consultants, to ensure that the respective proposals can be constructed without conflict. 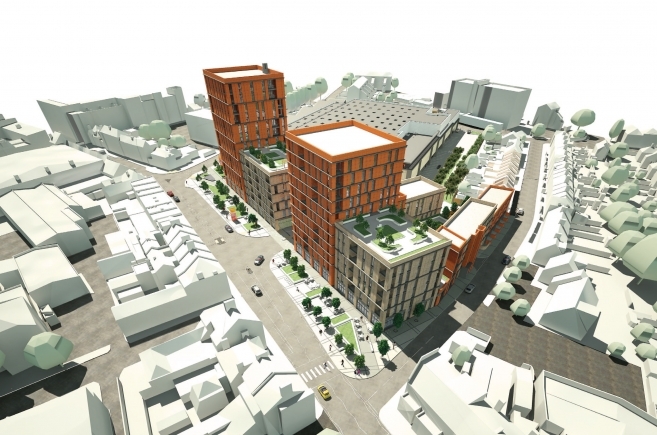 The site is to be primarily constructed using multiple RC frames with predominantly modular brick cladding panels, detailed to replicate the appearance of the gas towers which previously occupied the site. Horizontal metal profiled banding elements run around each of the buildings, typically at every floor level, again referencing the design influences taken from the old storage towers. Five of the 186 proposed residential units are 3 storey town houses built in traditional load bearing masonry. As Blocks B & C are ten and thirteen storeys respectively, the emphasis has been placed on working closely with the Fire Engineer to review the issues associated with means of escape. This involved an in depth review of the internal layouts during the optimisation process to achieve a code compliant strategy in the common areas, whilst using our expertise to incorporate added value within each apartment where possible. Construction is underway with the first occupancies expected late 2016.